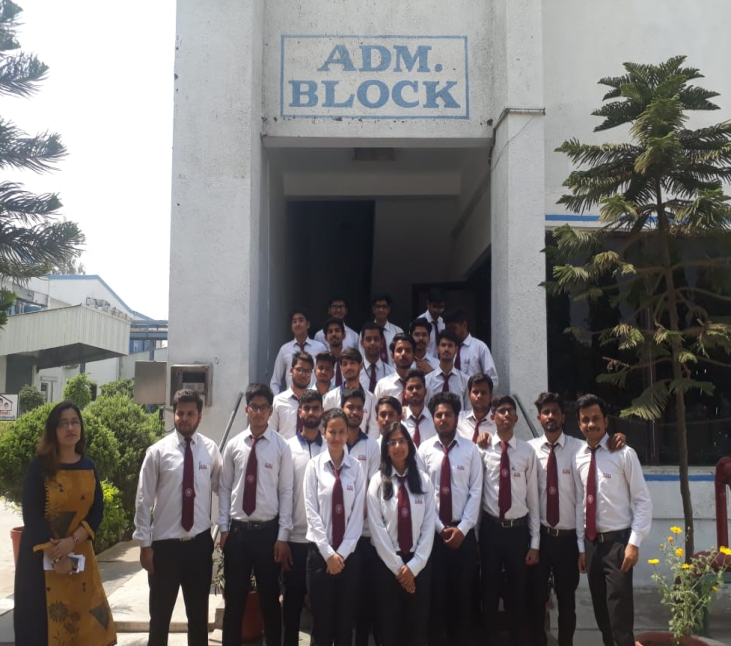 The ICFAI Tech School have organized an industrial visit at IPCA pharmaceutical laboratory , complete optimized plant through PLC ,SCADA on 5th April 2019 and it was coordinated by Dr. Vishal Gupta, Dr. Mukul Jain and Ms. Debanjali Barman Roy. The visit was for the students of B.Tech 1st year and B.Sc. 2nd year in order to make them aware about automation of plant, electrical utility and working of process under GMP conditions. Granulations-In this process raw materials has been granulized so that it could compress properly to get the desired shape. Compression- Different dye and punch is available for different size of capsules and tablets. Coating- Medicines are coated with different colors depending upon their need. Packaging, Foiling and Storage-Medicines has been packaged in different types of aluminum foils depending upon their thickness. Strict hygiene conditions have been maintained to avoid contaminations. And this complete process is automated. Waste Water Treatment Plant- water from the plant has been reutilized for irrigation purpose in waste water treatment plant. Electrical Utility– Generation of power and cooling system of entire laboratory has been managed in electrical utility section. G.M. Mr. Govind Bajaj addressed the students and handled all the enquiries of the students .The students have been facilitated with refreshment by the laboratory HR team. This visit was very much useful for the students and they learnt the automation process of the entire plant.